One of the premier universities in India previously Known ” The oxford of East ” Pune has Savitribai Phule Pune University . Pune the second largest city in the Indian state of Maharashtra and the seventh most populous city in the country. 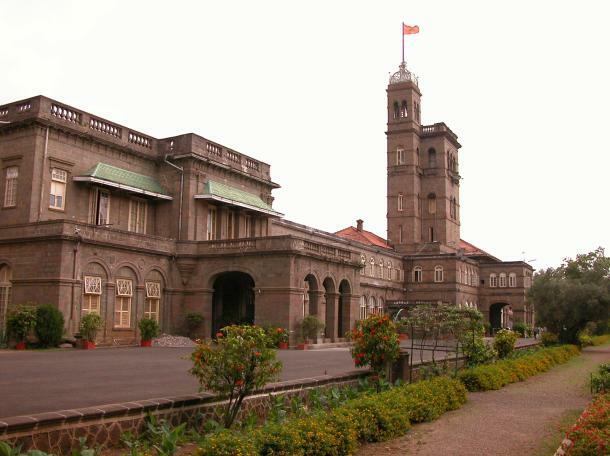 Formerly Poona University or University of Pune was Established on 10 February 1949 . 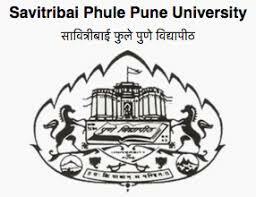 Hence latter changed the University of Pune Name to Savitribai Phule Pune University on 9 August 2014 in honor of Savitribai Phule , an Indian social reformer and poet . The Pune University Spread over a 411 acres . Having 46 academic departments with Well Experienced Rich & Most Educated Faculties . It has about 364 recognized research institutes and 705 affiliated colleges offering graduate and under-graduate courses . Also offers excellent programs in various areas including Science, Commerce, Arts, Languages and Management Studies . PUMBA, (acronym for the Pune University, Masters in Business Administration Program), the in-house university management department one of the top B-Schools in India . Top MBA Colleges Under Pune University are not only restricted to Pune but are also affiliated in Different Cities and Union Territory also . Also Top MBA Colleges under Pune University in Ahmednagar , Pune , Nashik , Dadra Nagar Haveli . Top MBA Colleges in Pune offer pragmatic Teachings . Hence Developing best Managerial qualities in MBA Students . Most of all MBA Colleges affiliated to Pune University are located in following places in Maharashtra and other Union Territory . A District in Maharshtra only 120 Km northeast away from Pune . Also Its well connected by Bus and train . Many Top MBA Colleges in Ahmed nagar affiliated to savitribai phule pune university . Almost 12 MBA Colleges under savitribai phule pune university are there in Ahmednagar . The Course Syllabus / Examination is Designed and duly controlled by Pune University . Hence the Degree to MBA Students awarded by savitribai phule pune university since they are MBA Colleges Under Pune University . 1 Abhinav Education Society Abhinav Education Society’s, Institute of Management & Business Administration, Akole Addr: Dhamangaon Awari Road, Akole . ADSULS TECHNICAL CAMPUS, FACULTY OF MBA ADSUL’S TECHNICAL CAMPUS, FACULTY OF MBA Addr: AT- CHAS . 3 Akole Taluka Education Society Akole Taluka Education Society’s Technical Campus, Akole Addr: at post akole . 4 Amrutvahini Sheti And Shikshan Vikas Sanstha Amrutvahini Institute of Management & Business Administrtion. Addr: Amrutnagar Sangamner . Dnyanvardhini Shikshan Sanstha Global Institute of Management Addr: Velhale Ta: Sangamner . 6 Dr. Vithalrao Vikhe Patil Foundation IBMRD Addr: Vadgaon Gupta (Viladghat),Post-M.I.D.C. 7 Hon.Shri Babanrao Pachpute Vichadhara Trust,Parikrama,G.O.I. parikrama college of Management Addr: AP-kashti,tal-shrigonda . Pravara Institute Of Research And Education In Natural And Social Sciences Institute of Business Management and Administration Addr: A/p- loni BkTal- Rahata . 9 S.G.R. Education Foundation S.G.R.E.F’s G.H. Raisoni Institute of Management and Research Addr: At-Post – Chas . 10 Shri Dattakripa Shaishanik And Krishi Gramvikas Pratishthan Saikrupa institute Management Addr: Ghargaon Ta:Shrigonda Dist:Ahmednagar Pincode:413728 Ta: Shrigonda . 11 sulochana Belhekar Samajik Va Bahu Uddeshiaya Shikshan Sanstha, Sant Dnyaneshwar Institute of Mgmt. & Bussiness Administration Bhanashiware Addr: Bhanashiware, Tal – Newasa . The Bhaskar Pandurang Hivale Education Society Inst. of Management Studies, Career Developement & Research Addr: IMS Campus, Station Road . A District in northwest region of Maharashtra . Also approx 210 Km away from Pune and Hence connected to all Major Cities by Air , Rail and Road Transport as well . Many Top MBA Colleges in Nashik affiliated to savitribai phule pune university . Almost 18 MBA Colleges under savitribai phule pune university are there in Nashik . The Course Syllabus / Examination is Designed and duly controlled by Pune University . Hence the Degree to MBA Students awarded by savitribai phule pune university since they are MBA Colleges Under Pune University . 1 A.P. Greig Foundation Trust UNIVERSAL COLLEGE OF MANAGEMENT Addr: NANDANVAN HILLS, CHANDSI, FRONT OF GANGAPUR ROAD . 2 Aakar Kala v Krida Mandal Dr. N. H. Wagh Institute of Management and Research Addr: Dahiwal Ta: Malegaon . Ashoka Education Foundation Ashoka Business School Addr: Urjayant Plaza,Next to Suman Petrol Pump,Mumbai-Agra Highway,CIDCO . 4 C.H.M.E. Society Dr. Moonje Institute of Management and Computer Studies Addr: Bhonsala Military College Campus, Gangapur Road,Rambhoomi . 5 Gokhale Education Society J.D.C. Bytco Institute Of Management Studies and Research Addr: Prin T A Kulkarni Vidyanagar, College Road . 6 K.B.H.S.S. TRUST DR.B.V.HIRAY COLLEGE OF MANAGEMENT AND RESEARCH CENTRE Addr: KRUSHI NAGAR,MALEGAON CAMP,MALEGAON. 7 Kalyani Charitable Trust K.R. Sapkal College of Management Studies Addr: Kalyani Hills Sapkal Knowledge Hub Trimbakeshwar Road , Anjaneri . 8 Mahatma Gandhi Vidyamandir Institute Management And Reasearch Addr: Mumbai Agra Rd,Panchavati . MAHATMA GANDHI VIDYAMANDIR, NASHIK Karmaveer Bhausahebh Hire Inst. of Management and Research Addr: M S G COLLEGE CAMPUS LOKNETE VYANKATRAO HIRAY MARG MALEGAON CAMP . 10 Maratha Vidya Prasarak Samaj Institute Of Mgmt. ,Research And Technology Addr: shivajinagar, gangapur road . 11 Matoshri Education Society Matoshri College of Management and Research Center, Dhanore Addr: Dhanore, Tal – Yeola . 12 Matoshri Shikshan Sanstha Matoshri College of Managment and Research Centre Addr: Eklahare,off Nasik Aurangabad Highway, Near Odha Village . Mumbai Educational Trust MET Institute of Management Addr: Bhujbal Knowledge City . 14 Nashik Gramin Shikshan Prasarak Mandal Brahma Valley Institute of Mgmt Addr: PO-Anjneri Ta: Tryambakeshwar. 15 Navjeevan Education Society Navjeevan Institute of Management Addr: Shivshakti Chowk 4th Scheme CIDCO . 16 Ozar Vikas Sanstha Vishwasattya College of MBA Addr: Ozar Mig, Sukene Road, Tal Niphad . Pune Vidyarthi Gruh PVG’s Inst. of Management, Nashik Addr: 206, Dindori Road, Mhasrul . 18 Shri Gurudatta Shikshan Sanstha Shri Dhondu Baliram Pawar College of Management Addr: A/P Dattabhoomi, Manur, Tal Kalwan . Its a union territory in Western India.It is wedged between Maharashtra and Gujarat . Silvassa is the capital of Dadar and Nagar Haveli.Hence the airport being served by Mumbai which stands approx 157 km from Dadra nagar Haveli . Also 133 km from Nashik . Best MBA College in Dadra Nagar Haveli affiliated to savitribai phule pune university . Hence the best MBA Colleges under savitribai phule pune university are there in Dadra Nagar Haveli . The Course Syllabus / Examination is Designed and duly controlled by Pune University . Hence the Degree to MBA Students awarded by savitribai phule pune university since the MBA Colleges Under Pune University . 1 Swargeeya Sanjibhai Roopajibhai Memorial Trust SSR Institute of Management & Research Addr: Sayli Silvasa Dist: Dadra Nagar Haveli . The Earlier Known Oxford of West . The Pleasant Weather , beauty and presence of world class business school along with best placements offers are among multiple reasons for MBA students to Study in Pune . Therefore Students from all over India and Foreign Students study MBA in Pune Colleges . The pragmatic Teachings and practical Training Makes Study more favorable for MBA Students in conslusion . Top MBA College in Pune affiliated to savitribai phule pune university . There are approx 102 MBA Colleges under savitribai phule pune university approximately are there in Pune. These are MBA Colleges affiliated to Pune University . The Course Syllabus / Examination is Designed and duly controlled by Pune University . Hence the Degree to MBA Students awarded by savitribai phule pune university since the MBA Colleges Under Pune University as a result . Savitribai Phule Pune university MBA Campus , Department of Management Sciences is also Known as PUMBA . MBA Colleges Under Pune University in Ambegaon Pune . MBA Colleges Under Pune University in Baramati Pune . 2 Anekant Education Society Anekant Inst . of Mgmt Studies Addr: Anekant Education Society Campus . 3 Shivnagar Vidya Prasarak Mandal Institute Of Management Addr: Malegaon Bk . 4 Vidya Pratishthan Institute of Information Technology Addr: Vidyanagari Bhigvan Road . MBA Colleges Under Pune University in Bhor Pune . 5 Navsahyadri Education Soceitys Group of Institutions Faculty of Management Navsahaydri Education Soceitys Group of Institutions Faculty of Management Addr: S No 69,70,71,Kelawade Phata ,Naigaon,pune-satara road . 6 Shree Jagdamba Sanstha Tirupati Institute of Mangement Addr: Gat No 110A Survey No 24 Next to New tunnel of Katraj, Shindewadi . MBA Colleges Under Pune University in Dound Pune . 7 Dattakala Shikshan Sanstha Dattakala Group of Institutions Faculty of Management Addr: A/P- Swami Chincholi. MBA Colleges Under Pune University in Haweli Pune . 8 Abhinav Education Society Inst. of Management & Research. Addr: At Post Narhe. 9 Aditya Education Foundation Aditya Institute Management Addr: S No 42 Part narhe ambegaon next to springdale school narhe Pune 411041 . All India Shri Shivaji Memorial Society All India Shri Shivaji Memorial Society’s Institute of Mgmt. Addr: Kenedy Road . 11 Audyogik Shikshan Mandal ASM’s Institute Of International Business & Research Addr: Pimpri . 12 Audyogik Shikshan Mandal Institute of Business Management and Research Addr: MIDC Block C Chinchwad Pune. 13 Dr. D.Y. Patil Pratishthan Dr.D.Y. Patil Institute of MCA Addr: Sector-29 Nigdi-Pradhikaran Akurdi . Dr. D.Y. Patil Vidya Pratishthan Society Pune Dr.D.Y.Patil Institute of Management and Research Pimpari Pune Addr: Opposite HA Factory, Sant Tukaramnagar Pimpari . 15 G.H. Raisoni Educational And Medical Foundation G.H. Raisoni Institute of Mgmt. and Research Addr: Survey No 1200, Domkhel Road, Wagholi . Impulse Education Society Moment Institute of Business Management Addr: Sr No 54 18 14 Ambegaon . 17 Jayawant Shikshan Prasarak Mandal Jaywantrao Sawant Inst. of Management And Research Addr: Survey No 58 handewadi road Hadpsar. 18 Jayawant Shikshan Prasarak Mandal Kautilya Institute of Management and research Addr: Wagholi, Pune Survey No 720-1 and 2 . 19 K.J. Educational Institute Trinity Institute of Mgmt and Research Addr: Post-Pisoli Yevlewadi, Near Garva Hotel . Kasegaon Education Society Rajarambapu Institute of Business Management Addr: Ambegaon . 21 Laxmi Venkatesh Educational Foundation Vedanta Institute of Management & Studies Addr: Avhalwadi . 22 Matrix Educational Foundation Matrix Business School Addr: Survey No 9/1/5 and 9/2/4 off Western By-pass Road Near Sinhgad Science College, Ambegaov . New Era Eduaction Society Apex Institute Management & Research Addr: Sarve No 59 Apex Hills Pune-60 . 24 P.S.D. Shastri Educational Foundation ASMA Institute of Management Addr: Survey No 85, Post- Shivane . 25 Pune Vidyarthi Griha PVG’s Late Govind Kashinath Pate(Wani) Institute of Mgmt Addr: 44, Vidyanagari, Parvati . 26 Sankalp Education Society Sankalp Business School Addr: -Ta: Haweli . 27 Shree Sai Education Society Sai Sinhgad Business School Addr: Sr No Ambegaon . Shri. Vighneshwara Education Society International School of Management & Research Addr: Survey No. 907.Gaidhara kanifnath College Road,Near Chaitanya Lodge Wadki. 29 Sinhgad Technical Education Society Sinhgad Business School Addr: Erandwane . Sinhgad Technical Education Society Sinhgad Institute of Business Administration and Research Addr: Kondhava . 31 Sinhgad Technical Education Society Sinhgad Institute of Mgmt. Addr: Survey No 44/1 Vadgav Bu Off Sinhgad Road . Sri Gajanan Maharaj Education Society Noble Inst.of Business Mgmt .Addr: GAT NO 242 Gorhe Budruk . Sukhdev And Kamal Sharma Educational Trust Lexicon Institute of Mangement Education Addr: Pune Nagar Road Wagholi . The Matrix Educational Foundation Matrix School of Management Studies, Pune Addr: Ambegoan . 35 Yashaswi Education Sociey International Inst. of Management Science Addr: 169/1/A Opp Elpro International . Zeal Education Society Zeal Institute of Business Administration,Computer Application and Research Addr: Behind Bhairavnath temple Survey No 39, Narhe . Zeal Education Society Zeal Institute Of Management & Computer Application Addr: S N 39 Narhe . MBA Colleges Under Pune University in Indapur Pune . 38 Dyan Kala ,Krida and Krushi Pratishtan Maharashtra Institute Management Addr: A/P-Kalamb-Walchandnagar . MBA Colleges Under Pune University in Junnar Pune . 39 Samarth Rural Educational Institute Samarth Group of Institutions Faculty of Management Addr: At-Post-Belhe Bangarwadi . 40 Shivneri Foundation Shivneri Institute Of Business Management Addr: A/p-Khanapur . 41 Shri Gajanan Maharaj Shikshan Prasarak Mandal Sharadchandr Pawar Institute of Management Addr: Dumburwadi-Otur Ta-Junnar . MBA Colleges Under Pune University in khed Pune . 42 Mahatma Jyotiba Phule Education Trust S.N.G Inst. Mgmt & research Addr: A/P Jaidwadi, Rajgurunagar. 43 Navsahyadri Charitable Trust, Pune Institute of Business Management & Research, Chakan Addr: Gat No94 1B,Chakreshwar nagar,Chakan . 44 Navsahyadri Charitable Trust, Pune Institute of Management Science Addr: At Post Pimpri . 45 P K Foundation P K Technical Campus Addr: Gat No 714, Kadachiwadi, Chakan-Shikrapur Road, Chakan. MBA Colleges Under Pune University in Mawal Pune . 46 Chaudhari Attarsingh Yadav Memorial Education Trust Siddhant Institute Of Business Management Addr:Sudumbare,Chakan Talegaon . Dr. D. Y. Patil Educational Academy D.Y. Patil Institute Of Management Addr: Po-Ambi Survey No 124 and 126 . 48 Dr.D.Y.Patil Educational Federation Dr.D.Y.Patil Institute Management and Entrepreneur Development Addr: S NO 27/A/1/2K Near Talegaon Railway Station A/P Varale . Shree Chanakya Education Society Indira Global Business School Addr: At Post Parandwadi . 50 Shri Chankya Education Society Indira Institute of Management Addr: Tapsya 85-5 A New Mumbai – Pune Highway Tathwade Tal.Mulshi . 51 Sinhgad Technical Education Society Sinhgad Institute of Business Administration and Computer Application Addr: Kusgav Bu off Mumbai-Pune Express Highway Lonawala. MBA Colleges Under Pune University in Mulashi Pune . 52 Akemi Education Society Akemi Business School Addr: Buchade Wasti Village Marunji . Alard Charitable Trust Alard Institute of Management Sciences Addr: Survey No 50 Near Rajiv Gandhi, Infotech Park Phase, Marunje . Arihant Education Foundation Arihant Institute of Business Management Addr: Bavdhan . Gramoday Trust ,Sagamner Gramodaya Trust’s, Rajeev Business School Addr: Tathawade Road, Tathawade . 56 IAEER’s Pune Institute of Business Management Addr: Pirangut . Institute of Science Poona Institute of Business Management and Research Addr: Survey No 130 Mumbai Bangalore Highway, Wakad . Jayawant Shikshan Prasarak Mandal Jayawant Institute of Mgmt. Studies Addr: Tathawade . 59 Managerial Excellance Resource Center MERC Inst. Of Management Addr: Gat No 167 Bhukum Paud Rd . Mulshi Education Society Ideal Institute of Management and Computer Application Addr: B2/504, Rajyog Society, Lagad Mala, Sinhgad Road . Sai Balaji Education Society International Inst. of Management & Human Resource Development for Women Addr: Sr no 54 Nere Dattawadi . 63 Surya datta Education Foundation, Suryadatta Institute of Business Management & Technology Addr: Shree Ganesh S No 342 Chandni Chowk Pashan Road Besides DSK Ranwara Bavdhan . 64 Suryadatta Education Foundation Surya datta Institute of Management & Mass Communication Addr: Saraswati S No 342 Chandni Chowk Pashan Road Besides DSK Ranwara Bavdhan . Vidya Laxmi Educational Trust Indyana Global Technical Campus Addr: S No 114 Nere Dattawadi . MBA Colleges Under Pune University in Pimpari Chinchwad Pune . 66 Audyogik Shikshan Mandal Institute of Professional Studies Addr: 29/1-2 A CTS number 4695 B Wing Near PCMC Building, Mumbai-Pune Highway . 67 Audyogik Tantra Shikshan Sanstha Institute of Industrial & Computer Management & Research ( IICMR ) Addr: HS 2 Sector 27 A Pradhikaran Nigdi . 68 Camp Education Society Camp Education Society’s,Rasiklal M.Dhariwal Institute of Management Addr: Sector No 27/A Pradhikaran Nigadi . Dr. D.Y. Patil Pratishthan Dr.D.Y. Patil Institute of Management Studies Addr: Sector 29, Behind Akurdi Railway Station,Nigdi Pradhikaran,Akurdi . 70 Indus Institute of Entrepreneurial Business Management INDUS BUSINESS SCHOOL Addr: S.No.114/1/3, wakad-marunje road,off mumbai-banglore bypas , wakad . Kamala Education Society Pratibha Institute of Business Mangement Addr: Block DIII, Plot No 3,Behind Mehta Hospital,Off Mumbai Pune Road,Chinchwad Station . 72 . Lotus Business School Lotus Business School Addr: Jhambe Road Pune Mumbai Expressway near sai petrol pump Punawale pune . Pimpri Chinchwad Education Trust S. B. Patil Institute Of Management Addr: Sector 26, Pradhikaran . 74 Progressive Education Society Institute of Management and Career Development Addr: Sector No 21 Yamuna Nagar, Nigdi . Pune Jilha Shikshan Mandal Inst. of Technical Edu Research & Mgmt. ,Addr: Pradhikaran Sector -28, pcntda Ganganagar , Prof. Ramakrushna Nore College Campus, Akurdi . 76 Rajmata Jijau Shikshan Pasarak Mandal R. J. S. P. M’s Institute Of Computer & Management Reasearch Addr: Gat no 101/102, Moshi Alandi Road, Dudulgaon, Alandi Dewachi,Haveli . Shikshan Maharshi Dr. D.Y. Patil Shikshan Sanstha Dr.D.Y.Patil Center for Management and Research Addr: Gat No 1029 1030 Nevale Vasti Chikhali . 78 Shree Chanakya Education Society Indira School of Business Studies Addr: 89/2A New Mumbai Pune Highway Tathwade . MBA Colleges Under Pune University in Corporation Area Pune . 79 Anjuman Khairul Islam Poona Institute of Management Sciences and Entrepreneurship Addr: K B Hidaytullah Road Camp . 80 Bansilal Ramnath Agrawal Charitable Trust Vishwakarma Institute of Mgmt. Addr: Survey No 3/4 , Lakshmi Nagar, Kondhwa Budruk . Dr. D. Y. Patil Educational Enterprises Charitable Trust Dr D Y Patil School of Management Addr: Charoli , Lohegaon . 82 Dr. Vikhe Patil Foundation Pravara Center for Management Research and Development Addr: off Senapti Road Near Patrkar Nagar . 83 Eagle Education Society Unique Institute of Management Addr: 36/3C,Gokulnagar, Katraj- Kondhava Road, Katraj, Tal:Haweli . 84 Indian Institute of Cost and Management Studies & Research (IndSearch) Indian Institute of Cost and Management Studies & Research (IndSearch) Addr: 85/1, Law College Road . 85 Maharashtra Academy Of Engineering And Educational Research MIT School of Management Addr: 123 Sarswati Vishw Building, Paud Road Kothrud . Maharshi Karve Stri Shikshan Sanstha Smt. Hiraben Nanavati Institute of Management and Research for women Addr: Near Cummins College , Karvenagar . 87 Marathwada Mitra Mandal Inst. Mgmt Education Research & Training. Addr: 202/A Deccan Gymkhana . 88 MCE Society Allana Inst. of Management Sciences Pune Addr: 2390 BKB Hidaytulah Road Azam Campus . 89 Modern Education Society Neville Wadia Institute Management Studies & Research Addr:19 Prin V K Joag path, Wadia college campus . Progressive Education Society Modern Institute of Business Management Addr: 1186, Shivajinagar . 91 Pune Jilha Shikshan Mandal Mahatma Phule Institute of Management Addr: Hadapsar . 92 Raja Shri Shivray Pratishthan Institute of Mgmt. and Computer Studies Addr:Baburav Sutar Road Rambag Colony Paud Road Kothrud . 93 Rajgad Dnyanpeeth Rajgad Inst. of Management Research and Development Addr: Rajgad Dnyanpeeth Survey No 32-2-12 to 16 Near Dhanakwadi Post office , Dhankawadi . 94 Rashtriya Shikshan Mandal Chetan Dattaji Gaikwad Institute o Management Studies Addr: 25, Karve Road . Sadhu Vaswani Mission Sadhu Vaswani Institute of Mgmt. Studies for Girls Addr: 6, Koregaon Road . 96 Shri Khanderai Pratishtan Dnyansagar Inst. Of Management And Reasearch Addr: SrNo 4243 ,Balewadi . 97 Shri Shivaji Maratha Society Institute of Management And research Addr: Survey No 74/1 A B Parvati, Aranyeshwar . Sinhgad Technical Education Society Sinhgad Institute Of Management And Computer Application Addr: 49/1 Pune Mumbai Highway, Narhe Ambegaon . 99 Sinhgad Technical Education Society SKN Sinhgad School of Business Management. Addr: S No 10/1 Ambegaon . MBA Colleges Under Pune University in Purandar Pune . 100 Pradnyaa Pratishthaan Pradnyaa School of Business Management Addr: 1850,Darewadi, Garade . MBA Colleges Under Pune University in Shirur Pune . 101 Kasturi Shikshan Sanstha Kasturi Shikshan Sanstha’s Institute Of Manegment Addr: Shikrapur . 102 Shrinath Shikshan Prasarak Mandal R.M.Dhariwal Sinhgad Management School Addr: Gat No 37/1 37/ Mauje Kondhapuri .